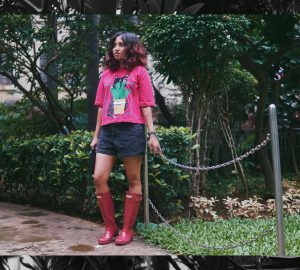 The subscription box craze has gripped us all for the last couple of years & it’s no surprise at all. It’s things you like. In a pretty box. What could go wrong with that? We don’t have as many subscription boxes here in India as compared to USA. 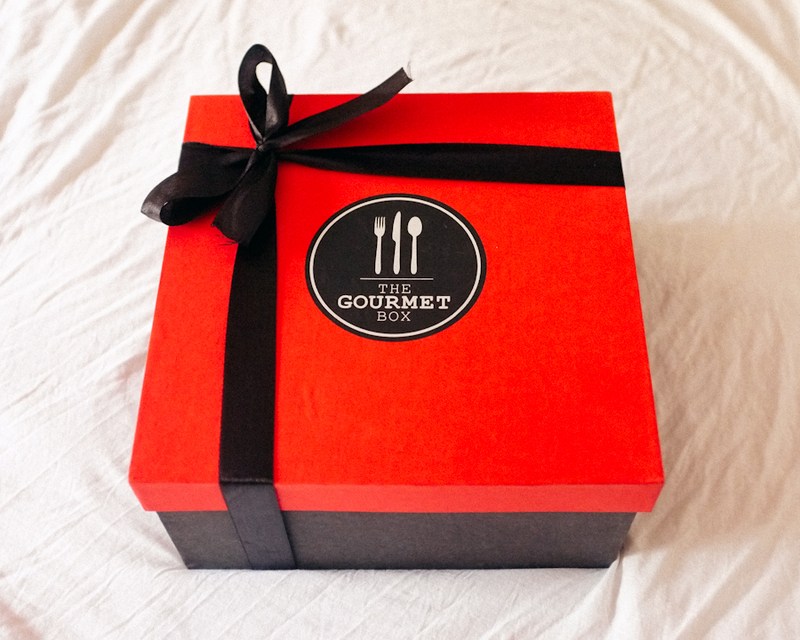 But I’ve tried a beauty box, dessert box & now I’m talking about the newest box on the block, the Gourmet Box. 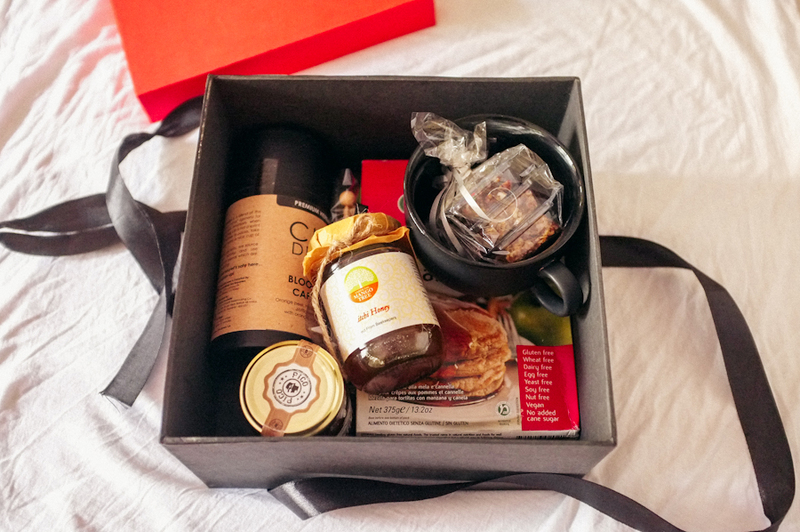 They launched in July & the theme of the first box was ‘Breakfast’. Do you know how much I like breakfast & brunch? Not the time of the day much but the foods? I could eat those anytime. By the time I read about the breakfast box, it was already August & they were on to the Japanese themed box. I was crushed, but I decided to email & ask anyway, because why not? To my delight, they said they could fix me up with one! A couple of days later the box landed up at my door. The box itself is one of the best I’ve seen in a while (& I’ve seen a lot of boxes!) It’s quite sturdy & can be reused. And it’s completely ready for gifting too, just tie on a gift tag. Let’s peek inside, shall we? 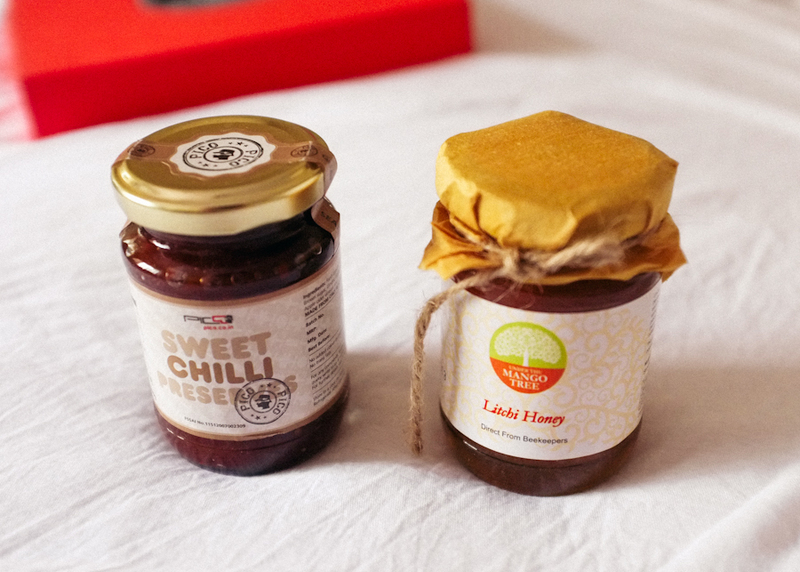 Pico Sweet Chilly Jam This jam is the perfect blend of sweet & spicy. I’ve already been through a jar of this stuff (see a picture here) that I got at the launch of Café Pico. I like it enough, but my dad loves it, so this bottle went to him. Dryden & Palmer Rock Candy Sticks These flavored sugar sticks are double duty. You can use them to sweeten your drink & stir! Haha! But seriously I really they’re unique & really fun to use. 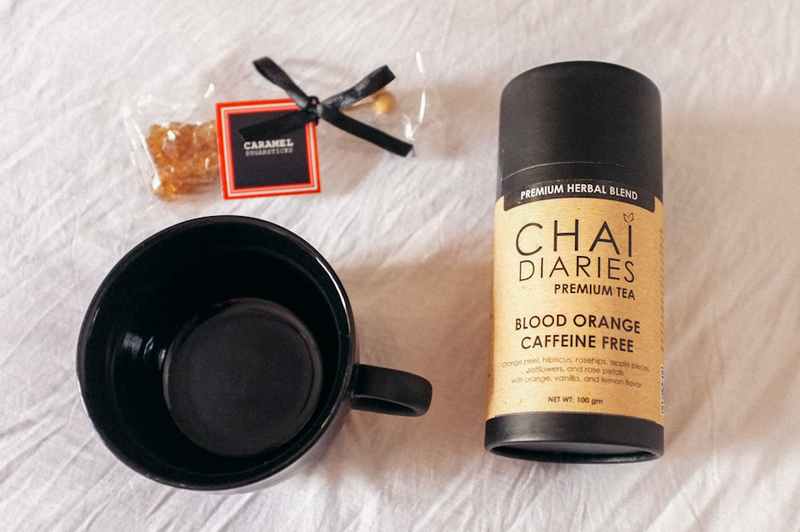 Chai Diaries Blood Orange Caffeine Free Tea Another brand I had heard of & was itching to try. This tea has the flavors of blood orange, apple, vanilla, rose, hibiscus, safflower & lemon. I honestly haven’t tried this yet (too many teas, too little time). I’m proper intrigued though, I might just save this for a tea discovery post. Mug I don’t really have any information about this stoneware mug, it’s just a little bonus product in the box. It’s pretty large, matte on the outside & glossy on the inside & incidentally both parents think it’s tops. Chocotella Health Bars (from the top: kids, protein & health). These homemade bars are yummy, healthy, home made & guilt free. They got nommed first (like a minute after I took this photo). They’re very satisfying yet light & oh-so-tasty. I just wish they came in bigger sizes! 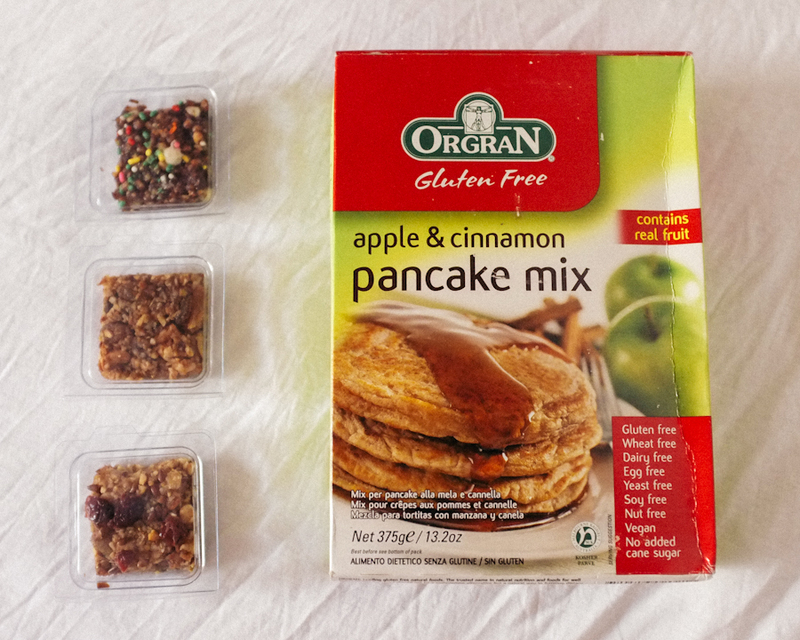 Orgran Apple & Cinnamon Gluten Free Pancake Mix This mix can be made like regular pancakes (add milk & water) or completely vegan (just add water). I confess I haven’t tried this yet, but the flavors are my favourites so let’s see. The box even included a little cookie recipe that you can make with leftover pancake mix. I sort of like that you can see everything that’s in the box before you buy it, that eliminates the chance of being disappointed when you get something you’re not going to use. Oh & I don’t know if this matters much, but my parents think about 98% of stuff I buy is ‘a waste of money’ but they both gave two thumbs up for this box. So you have four thumbs up. From Magali’s parents. Recommendations don’t get any better than this. Other than the box format, you can buy all of these things individually on their website – there’s lot’s more available too!